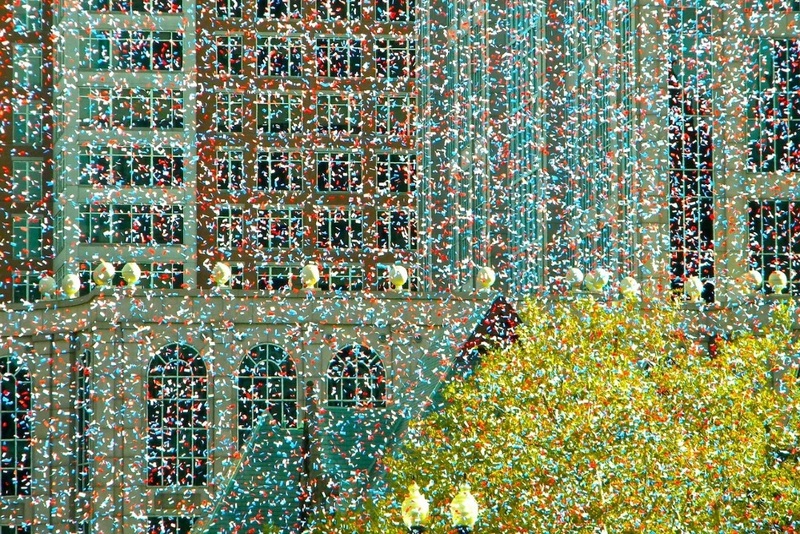 Most people experience a parade, like Chicago's St. Patrick’s Day Parade or Macy’s Thanksgiving Parade in NYC, as a finished product. What they don’t see are the months of planning it took to deliver the perfect parade. Planning a parade, or any big event, is not easy but with the right project management skills and knowledge it’ll be much less stressful. Did you know that Chicago’s St. Patrick’s Day Parade attracts more than 400,000 spectators each year? Or that it takes 40 pounds of powdered vegetable dye, which is actually orange, to turn the Chicago River green? Taking this into account, it’s not a surprise that it takes a lot of time and effort to organize a parade and make sure that everything goes according to plan on the actual day. Parades typically have a purpose from the outset: it’s to celebrate a person or an occasion, like St. Patrick or Independence Day. However, organizers and planners still need to clarify what they expect from the event. For example, most parades also have a different theme every year, so everything needs to be aligned to follow the theme closely. Depending on the parade, you will also have to identify your target audience and plan according to that. If a parade is supposed to be family-oriented, you need to take extra measures to make sure that it stays family-friendly, e.g. introducing an alcohol ban. Parades are outdoor events so they’re at the mercy of the seasons. Last Saturday’s Chicago St. Patrick’s Day Parade took place under torrential rain, for example. For events that take place in summer, since most parades start at noon, you’ll need to prepare for the heat, for example by handing out water bottles and fans. But not only the weather poses as a risk for parade organizers, other risks include safety and security risks as well as resource availability. Which is why you will need to implement risk and change management. You have to assess the risks carefully and implement a prevention strategy as well as a strategy to mitigate risks that you can’t prevent. While crowd control should be a distinct part of your parade planning, you’ll have to count it as a risk as well – nothing is as unpredictable as the human factor. Carefully managing changes will help you create an accurate budget, as any unanticipated change can create additional costs. Parades are huge events that need very big budgets. Most cities can’t bear the full costs of such an endeavor so organizers have to identify sponsorship opportunities. Having enough sponsors doesn’t mean that all costs are covered though. Costs that you need to take into account are clean-up, flowers, printing (e.g. flyers), marketing, bands, banners and so on. The best way to plan a budget, and stay within it, is to make budget estimations and projections before the event, then during the course of the planning make updates to the initial estimates, and afterwards have a post-parade budget review session to compare your initial budget estimates with the actual spending. You can use this as ‘lessons learned’ for next year’s parade. Time management is probably the most important skill that parade organizers need to have. A lot of parades are yearly events, so you have a strict deadline to meet, a 4th of July can’t happen on the 5th after all. Plan in sufficient lead time of at least a few months, as you’ll need to obtain funding and permits, as well as plan the infrastructure, i.e. traffic control and street closures. The event itself also has a strict production timeline, which is why you need to plan the schedule for activities carefully. Select a parade time and route and calculate how long it’ll take all floats to reach the end. Remember that you’ve obtained permits for a specific amount of time on a specific day, so you can’t overrun your schedule. In order to stay on schedule and budget, you’ll have to communicate regularly with all parties involved, such as all organizations with a stake in the parade as well as residents that are affected by the parade. Usually a committee is responsible for a number of aspects of a parade, from the planning stage to the clean-up. This committee is usually comprised of the project team and people from different organizations, so it’s inevitable that opinions clash and misunderstandings arise. To avoid confusion and misunderstandings, it’s essential to communicate often and effectively. Have regular status meetings, at least every week, so that you can deal with issues in a timely manner and to keep everyone updated on where the project stands. As so many people are involved in a parade, directly or indirectly, there can never be too much communication. What Does Project Management Have in Common with American Football? Event Management: Successfully Plan a Parade with Project Management - InLoox • Copyright 1999-2019 © InLoox, Inc. All rights reserved.